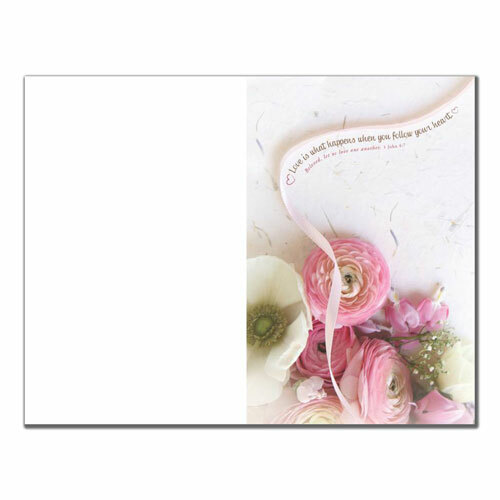 Wedding program paper design 6357 features pink and white flowers and a ribbon that contains the wording: Love is what happens when you follow your heart. The bible verse: Beloved, let us love one another. 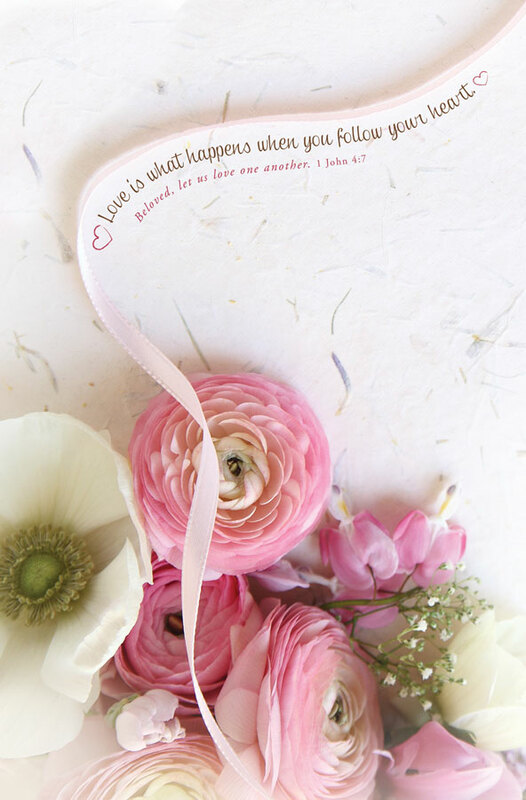 1 John 4:7 is also on the ribbon.